I told you how my husband always puts sewing related items in my stocking at Christmas. Stockingstuffer item number 2 I received this Christmas was a product called thread heaven. It’s a tiny square jar with some goopey waxlike stuff in it. You are supposed to drag your thread through this substance to keep your sewing thread from tangling. Sounds like a lot of work to drag each piece of thread through this tiny jar. It also requires patience and nimbleness. I got it after years of training! =) I tried it out when sewing one of my little miniature dolls. I really liked it. It kept my thread from turning into a knotted mess while sewing on the tiny dollheads. The package also promises that the product “Reduces Hand Fatigue” and that it is “acid free and Hypoallergenic.” The only problem I have with this product is that it doesn really say what it is made of. 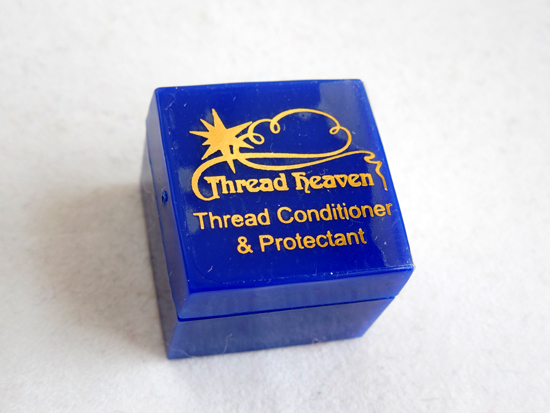 Have you ever used thread heaven or something similar to it? I think I will contact the company to find out more. Could it be a trade secret? Maybe just a little bit of softened beeswax would do the job just as well? I am intrigued. I hope you got some good Christmas presents this year. I am very pleased with my loot for sure. Really, my husband and I don’t give each other a ton of presents. It’s mostly for the kids, right? But he always tries to find me small sewing related items to put in my stocking. Oh my, this year I got 3 different things. Two gadgets were okay. The third item was a bit of a bust. 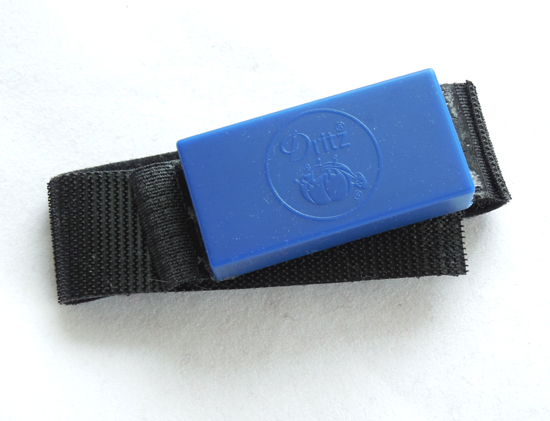 It was called a wrist magnet by Dritz company. You are supposed to wear it strapped around your wrist while sewing. I found this thing way too cumbersome. The magnet, though very strong, did not hold my needles very well because there is not enough surface touching, I suppose. Then there was my constant fear leaving the magnet too close to my phone or computer. 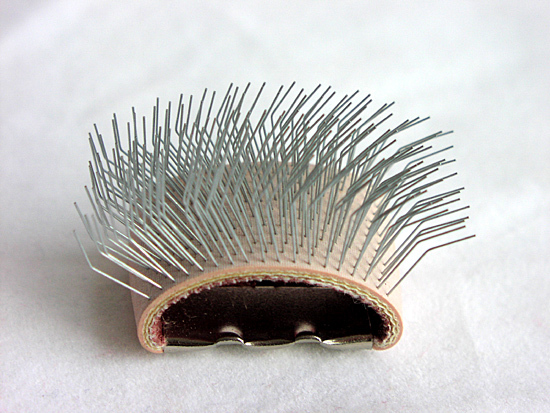 It could really mess up data I am being told…So why not just use a pin cushion for your needles? I recently received this brand new tool in the mail. I am sad to say that I have been too busy to use it much. My fingers are itching to make a new doll but these days I am mostly occupied with shipping and finishing off other products. Maybe in the New Year? What is this curious looking tool that kind of looks like a little hedgehog? It actually is a miniature brush for fluffing up doll hair. Looks so cool, doesn’t it? If you want to see some samples of dolls with fluffed mohair wigs you can find them in my shop on Etsy. I didn’t know it until just this morning – I am a digitabulist. You may ask yourself: What in the world is that? A digitabulist is what you call a person who collects thimbles. Well, my collection is rather smallish. In the photo you can see all four of them. I keep the 3 useful ones in my sewing box. The German word for thimble is Fingerhut. In translation that means fingerhat – a hat for your finger. This is my humble collection of fingerhats. Number one is made of leather. Number two of ceramic. Number three brass. Number four is made of plastic. The ceramic one was given to me by a friend who brought it back from a visit to the UK or Ireland. It’s really pretty but probably the most useless of the lot. It usually hangs out on my windowsill. Long before I knew about the hobby of digitabulism, I actually tried to slip the ceramic thimble on my finger to help push a needle through thick fabric. The thing slipped right off my finger and fell to the floor. Luckily it didn’t break. I suppose it was never meant to be used. On Wikipedia you can learn many interesting facts about thimbles. In the 19th century they were used to measure spirits, which brought rise to the phrase “just a thimbleful”. Prostitutes used them in the practice of thimble-knocking where they would tap on a window to announce their presence. Thimble-knocking also refers to the practice of Victorian schoolmistresses who would tap on the heads of unruly pupils with dames thimbles. 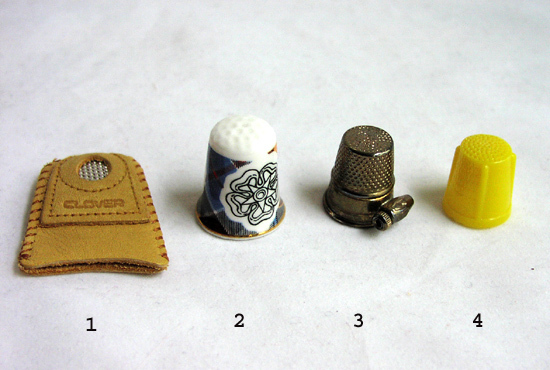 You can find very cool pictures of antique thimbles via this link. Kind of puts my collection to shame. I have been doing a lot of sewing on my sewing machine lately. As we get closer to Christmas my m trusty Bernina workhorse has to run 4 hours a day on average. I found that one of the most essential tools in keeping my sewing machine clean and running is a miniature vacuum cleaner. Instead brushing lint out or blowing the dirt into your machine you must remove it by sucking it out. I got the idea from my husband who is using a miniature vacuum for his computer keyboard. 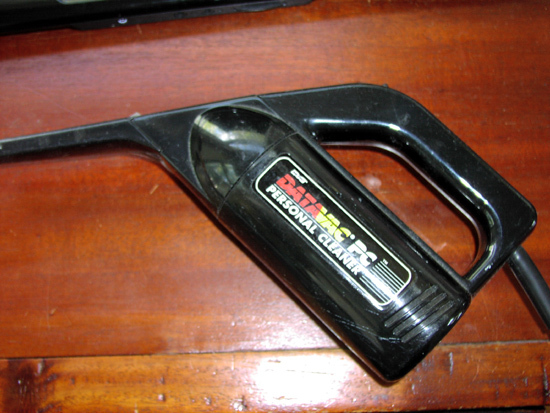 You can find a mini vacuum at any office supply store such as Office Depot or Office Max. I think mine cost about $20. After a couple of hours of sewing I open up my machine and vacuum the inside. Then I take out all the removable parts and brush the lint off. I oil the moving parts and put them back in. Since I own only one sewing machine it’s crucial to take good care of it. I simply can’t afford to have it fixed or serviced this time of year. Did you know there was an architect on the Natural Kids team? 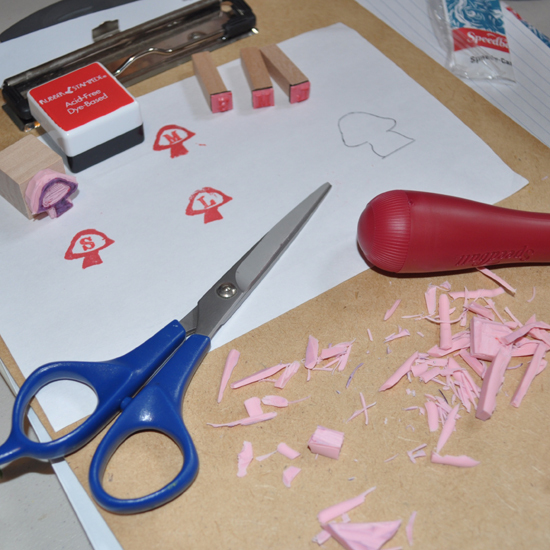 I didn’t fully realize it until Lucinda sent me the photos of her materials. Lucinda Macy from Willodel on Etsy took the beautiful photos you see in this post. 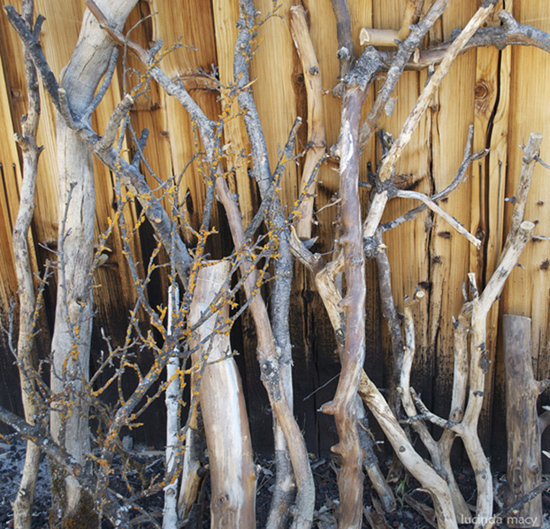 They are photos of the raw materials she uses in her craft. 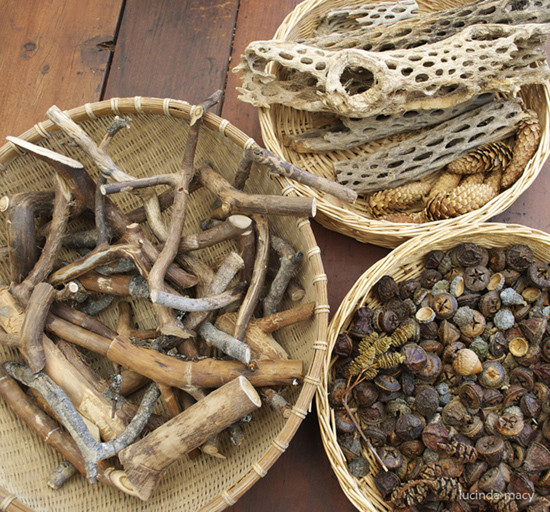 Lucinda builds with: rocks, sticks, acorn caps, and many other objects found in nature. Looking at her photos takes me back to my own childhood. 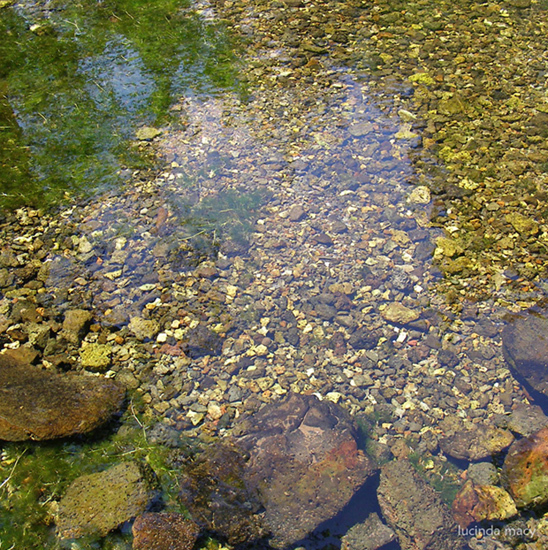 Do you remember going for a walk and finding that perfect little rock that you had to take home as a keepsake? What kid doesn’t do that? 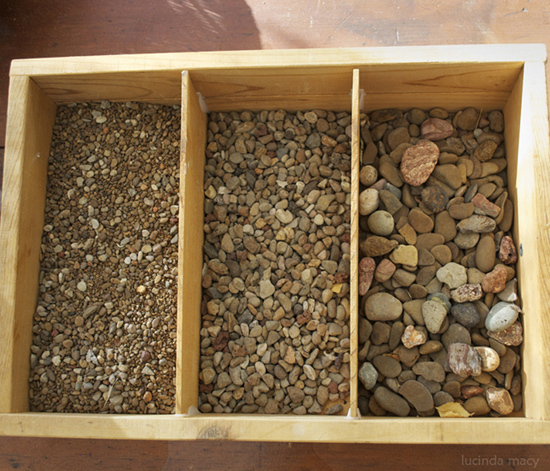 However, Lucinda’s rocks and sticks don’t end up in mom’s washing machine or on a bookshelve. Each prize from nature is carefully sorted into baskets or boxes where it waits to be turned in art. Please make sure to visit her shop and take a peek at the wonderful items Lucinda creates with these materials found in nature. You can be sure that everything is ressourced with utmost respect to nature. I guess wool is not really a tool. It belongs more in the materials section. But since I use wool for pretty much everything in my craft, it has become like a tool to me. I use it in various forms and shapes. It is beautiful to look at and touch. It is soft and warm like a newborn puppy. I have mainly three different types of uses for it. First of all, I use wool for stuffing my dolls. 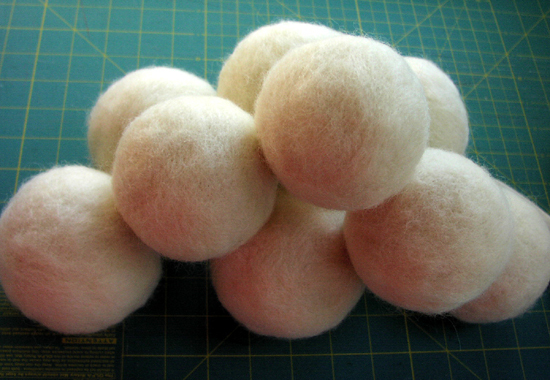 I use raw wool because it can be shaped into dollheads and bodies for waldorf dolls. I buy it in large quantities. When I open the latest shipment, it smells fresh and earthy, and a bit like the animals it came from. I like to transform the large fluffy clouds of wool into soft warm little baby dolls. I know when a child cuddles them, they will warm up to their body temperature and reflect the warmth. Who wants to cuddle a cold plastic baby? 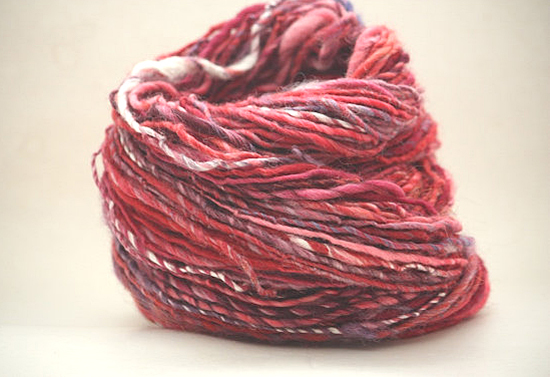 Secondly, I like to work with wool that has been processed into long strands of yarn. I love the soft mohair yarns with long fibers. Long fibered mohair yarn almost gives the impression of real human hair. I crochet dollwhigs with it. I am always amazed at the effect it has in handmade dolls – making them come to life and look like real people. Last there is the wool pressed into sheets of felt. I mainly use sheets of felt from Holland that are 100% wool. They come in beautiful rich colors. They are perfect for handsewn doll boots or vests. 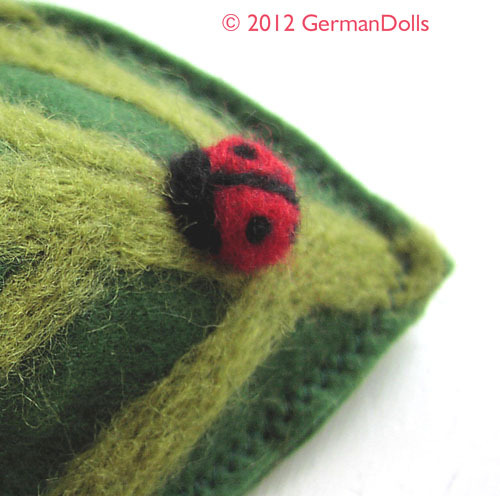 They are great for making small toys, like the little felted leafbeds I can’t seem to keep in my shop. Wool – has become to me what paint is to a painter. 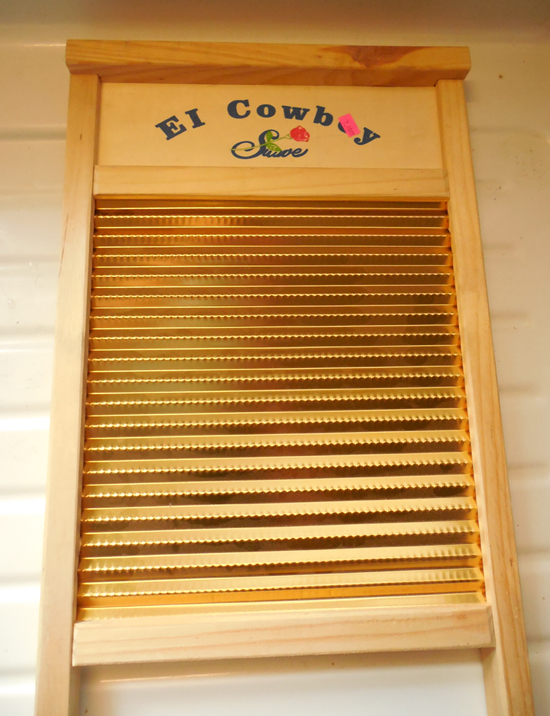 There are endless ways to utilize it and make beautiful arts and crafts with it. I hope you discover it soon for yourself if you have not done so already. Please, share with us what you make with it. 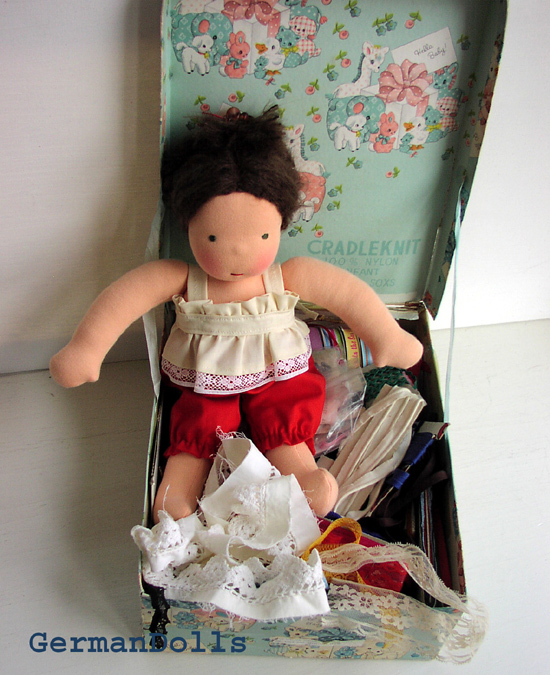 Ulla Seckler is a dollmaker who was born and raised in Germany. She lives in beautiful Colorado with her husband and two kids. You can find her Notes by a German Dollmaker on her blog where she shares some great German recipes, pictures of her sweet dolls, and life lessons learned.